Gastric Band VS. Gastric Sleeve. How different are they? Are they the same thing? Which one will work better? The gastric sleeve laparoscopic procedure removes up to 80% of your stomach to create a narrow tube like pouch. Your surgeon staples the pouch and permanently removes the other portion of your stomach. Average surgery time is about 1-2 hours. Your anatomy is permanently changed. The LAP-BAND outpatient laparoscopic procedure places a removable and adjustable silicon band around the top of your stomach, creating a small pouch, connected to a small and discrete port above your abdominal muscle. Adding or removing saline, through the port, will adjust the grip of your band to better fit your weight loss plan. Average surgery time is about 1 hour. Your anatomy is not permanently changed. The gastric sleeve procedure is a permanent weight loss surgery. Revisions are possible as well as conversions if the patient begins to re-gain weight. Recommended time off work is about 2-3 weeks, depending on type of work, and recovery ranges from 3-5 weeks. The LAP-BAND is a fully reversible procedure. A patient can have another procedure but a patient can have the lap band system removed with no changes to the anatomy. Time off work can be less than a week, depending on type of work, and recovery ranges from 1-2 weeks. For personalized information on LAP-BAND surgery click here and ORBERA click here. The diet for both LAP-BAND and gastric sleeve asks for a calorie intake of 1100-1800 calories per day depending on your starting weight and your dietitian’s recommendations for your weight loss plan.. Your surgeon and dietitian should work with you on determining a weight goal that is achievable based on actual results of weight loss surgery, your age, your ability to make changes, your level of activity and your lifestyle. A weight loss procedure will not make your weight magically disappear. Once you have reached your goal weight, the calorie count is stabilized based on your surgeon and dietitian’s recommendations. You want to avoid high fat and high calorie foods, carbonated drinks, processed foods, foods that are difficult to digest and sugary food and drinks. Most weight loss specialist recommend reduced starchy food, these are items like bread, past, rice, chips, etc. You will be encouraged to drink a lot of water or low calorie liquids. Your dietitian will encourage good sources of protein, in solid form, not just shakes. Think to “over chew” each bite, post bariatric surgery your meal portions and bite size must be smaller than before. A well-chewed bite will assure no discomfort or possible complications. Both treatment often require the same vitamin/supplement intake. One or two daily multivitamin and a daily calcium supplement. Gastric Sleeve patients are recommended to take vitamin B12 because of the alterations to your digestive track. The gastric sleeve is a permanent amputation of up to 80% of your stomach, so complications are higher potentially and the procedure is irreversible. Other surgical risks include possible blood clots, bleeding and infections. Possible leakage at suture/staple edge. Gastric sleeve is not reversible and if weight regain occurs, it requires additional surgery or another procedure such as a gastric bypass. The Lap-band procedure requires monthly follow-ups for a full year post surgery to assure positive weight loss progress or possible adjustments. The complication rate is low and the actual complications are less severe. Consistent work with your dietitian and weight loss team is required to assure new healthy eating habits are in place and old habits are avoided. 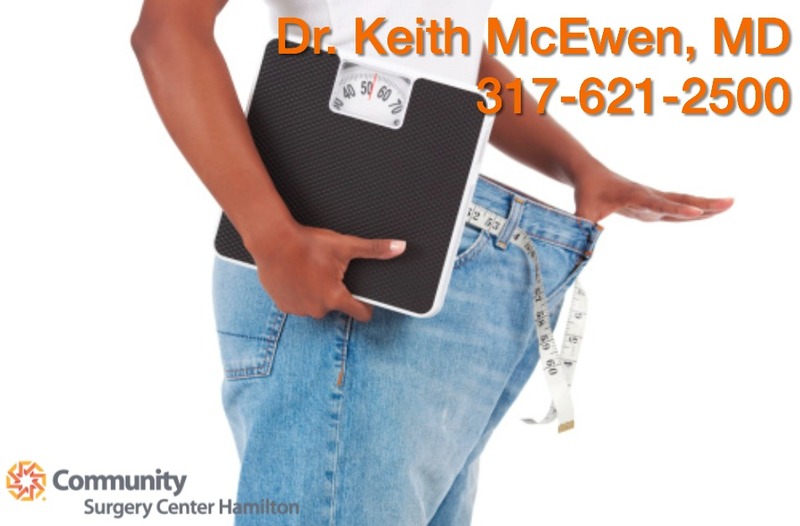 It’s important to know and understand that either weight loss surgery a tool to help you lose weight. A healthy relationship with food and a strong support system will be necessary tools to help you achieve your weight loss goals. With our LAP-BAND system, you will have a team of medical professionals that will aid you every step of your journey and accommodate your needs to increase your chances of reaching your goals. DO YOU HAVE BARIATRIC coverage for Lap Band, Gastric Bypass, & Gastric Sleeve? Do you have bariatric insurance coverage for Lap Band, Gastric Bypass, and Gastric Sleeve? It’s important to understand employers can opt-out of certain procedure coverage, like weight-loss surgery, for their employees’ insurance policies. Opting-out these specialty procedures saves the company money on their premiums. However, if your policy excludes weight loss surgery, some insurance companies strongly believe that these types of surgeries are medically necessary and employees may be able to appeal their exclusion. Email us Jhatt2@ecommunity.com if you would like us to check for your Lap Band Insurance Coverage. Below you will find some EMPLOYERS that cover the Lap Band for patients who are looking at a less invasive procedure to help improve your wellness. LAP-BAND patients don’t have to start with us their weight loss journey with us. We will have a thorough consultation with your previous LAP-BAND doctor to assure we get all your medical logistics, then we make sure we understand your goals, your journey, and where you started. Jessica came to us 8 years into her LAP-BAND journey and since, we’ve worked at providing her with the proper tools to continue her weight loss journey. Today, we’re proud to be part of Jessica’s story! 1. Why did you choose the Lap-Band system over other bariatric treatments? I was only 21 when I choose to get a bariatric surgery. As I was young and wanted something flexible and not very invasive. I still wanted to have children and the other surgeries available at the time were very permanent and scary to think about. The Lap-Band was just the perfect system for me. 2. What has been your biggest change since lap band surgery? My biggest change is my confidence level and how I carry myself. Having lost so much weight it is hard to really see it sometimes because when you are that big you don’t see just how big you are. I kept one pair of pants from when I was at my largest. I can fit into one leg of them now. Also I work out. I think about what I eat. But I am also way more active, and go and do more things. It is very liberating! I have a few victories. One big one is that I was able to go to a theme park last year and ride every ride I wanted to! I have never really been able to do that in my adult life. It was scary at first, afraid I just wouldn’t fit into the seats. After getting on the first ride no problem I was elated and had an amazing time! Another victory is being able to shop anywhere I want for clothes. It is a new experience to not have to always look for the plus sizes. Having to go to special stores. Another victory for me was working out. I am able to run whole miles. In losing the weight and working out I have far less back and knee pain. 4. What advice would you give someone thinking about lap band surgery? My advice would be, prepare yourself to work. It isn’t easy, but when you do it, it is amazing and worth every little fight you have to have with yourself. Know there will be set backs and times you just can’t do your best, but always try again the next day. Know that all the little changes are worth it and add up to help you change. And don’t be impatient, this change is worth it but takes time. Benefits of Supervised Weight Loss. Supervised Weight Loss is a pre-surgery insurance requirement for most patients planning to undergo bariatric surgery. Most insurance companies require that the patient meet with a dietitian once a month in an individual or class setting to cover diet and exercise topics related to bariatric surgery. The length of supervised weight loss varies based on…… Continue reading Benefits of Supervised Weight Loss.